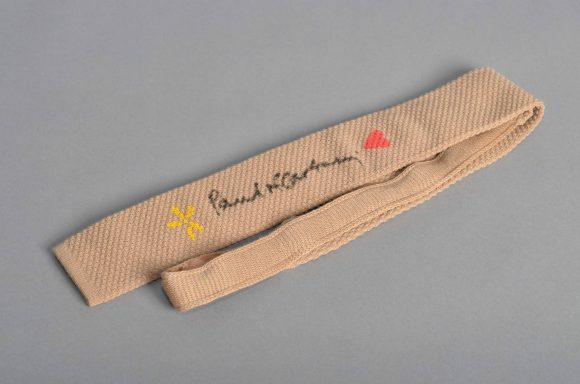 Sir Paul McCartney is among celebrities donating items to help raise funds for male cancer awareness charity Cahonas Scotland. 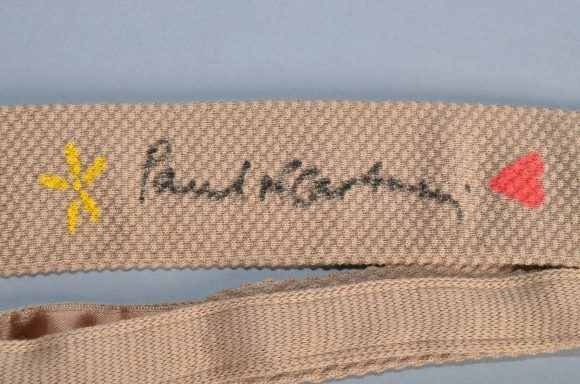 The former Beatle has signed and decorated a worn Harvie & Hudson tie. It will be among items auctioned on the Cahonas Scotland eBay store via loosenupauction.com. Other celebrities donating autographed ties and scarves include Eric Clapton, Brian May, Elvis Costello, Katy Perry, Sir Cliff Richard, Akon, Stephen Fry, Bradd Pitt and Brandon Flowers. Other items to be auctioned include an Andy Murray signed match shirt, One Direction signed hooded top and signed t-shirt from Foo Fighters. The auctions will run from 19 November, International Men's Day, to 25 November. All money raised will help Cahonas Scotland to advance education of the public in matters relating to male cancers and to undertake where necessary the prevention of discrimination and stigma arising from diagnosis and the cancer experience. As a charity focussed on positive men's health, we at Cahonas Scotland fully support International Men's Day, and particularly this year's theme of positive role models for men. We would like to thank the many celebrities who have taken the time to engage with us, learn more about what we do and support our year end fundraiser, the Loosen Up Auction 2012." With their support and generosity we will make a real difference to the profile of men's health issues in 2013. Cahonas Scotland exists to advance education of the public in matters relating to male cancers and to undertake where necessary the prevention of discrimination and stigma arising from diagnosis and the cancer experience. Pathetic isnt it celebs expect the public to give their hard earned money to charity whilst the stars just autograph a tie & think their doing everyone a favour. Bob Geldof springs to mind.